Google +1 has been on the cards for a while now, but at the Google I/O conference yesterday it was announced that it will soon be available for content owners to implement on their sites. But what exactly is it, and what will be its impact on our search habits? Google +1 (Plus One) is their response to the popularity of the Facebook Like button that has been around for a year now, but how exactly Google plans to use it in the long run is still up for discussion. Whether it will be just part of a social layer for search or will form part of a larger social initiative is yet to be found out. All we know so far is that Google +1 will allow you to click a +1 button next to search listings to indicate that you like the listing, and this will then be displayed for others to see (not unlike the Facebook button). It is under testing at the moment and only allows you to +1 a search listing or an ad, but will also soon be rolled out for websites to include on their content, allowing readers to ‘+1′ it similar to what you would do with the Facebook Like or Tweet button. At the moment you have to have a public Google profile to use it and be logged into Google. Then you might find +1 enhanced search listings displaying that for example people in your network have ‘+1′ a listing or ad. The idea behind it is to bring a social aspect into search results, by giving you an indication that people in your network liked a specific result/site. By adding other social networks you are on to your Google Profile you are extending your network to include Twitter, Facebook etc. 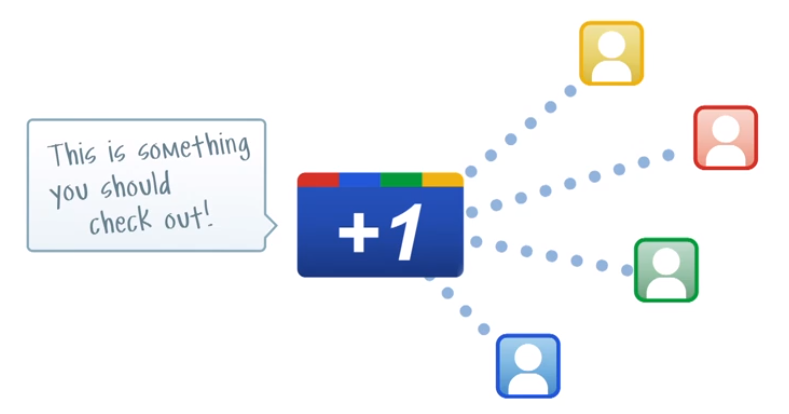 Until Google +1 is fully live and been running for a while it is difficult to say what the true impact might be, but the idea is that adding this social layer should over time improve the search results Google is able to deliver for your search queries based on what it will know about you and your network. Some speculate that Google +1 as we know it now is just the first step towards Google launching a full on Facebook competitor, but that is just speculations at this stage, so lets instead focus on what we know. What we know is that this feature will be incorporated into search results, and that over time Google might use it to further personalize search results as well as to use it as a ranking factor for organic listings. Now this raises a few questions from a webmaster/webite owner perspective. How might Google use +1 as a ranking factor? There would have to be additional factors than just volume of ‘+1′ clicks, as that would skew everything in favour of big media, and in my opinion to the detriment of improving search results. I’m sure Google has got a good idea of how it can be used to improve search results, but it does raise a few concerns until we know exactly how it will work. Does your wider network reflect you? If you look at your Facebook friends or the people you follow on Twitter etc. How many of those would you say accurately reflect what you like or not? Being able to see what people in my network might have liked or not i don’t mind, but i would not want for it to skew the actual search results in the normal search listings. Spesifically in social search mode, yes, but not in the main search results. Search results can always be improved, but lets face it, Google as it is works as it should for most people, which is reflected in their share of the search market overall. But as people start to become more and more social online, they need to start reflecting the changes in people’s behaviour to stay relevant to not only the masses, but also to the early movers amongst us. Whether Google +1 will become another Google Buzz or actually turn into something of true value for users and search listings remains to be seen. As for Google’s possible social plans around it, i’m sure many of us would like to see what they might come up with. For me personally i would not like to see social sentiment based on ‘like’ buttons taking over search, turning it into just another popularity contest skewed in the favour of big established media. Here is an official video on Google +1 and link to Google blog post about +1.